Saturday night, in a welterweight bout, Manny Pacquiao defeated Adrien Broner by a unanimous decision with scores of 117–111 and 116–112 twice. If anything, these scores were not wide enough, as Pacquiao dominated almost every round. But it was also far from a spectacular or even dramatic fight, and one that would have, based solely on what happened in the ring, been a complete yawner had its combatants been anything other than these two high-profile fighters. The fight took place in Las Vegas, and was shown in the U.S. as the main event of an expensive Showtime pay-per-view, costing sixty-five or seventy-five bucks, depending on different cable providers’ fees, to watch. If you thought that HBO was bad for boxing, now, after its extinction, the remaining American pay-per-view networks showing boxing are competing for the title of world champion of ripping off the public. The Pacquiao–Broner fight was held for one of the most bogus “world” titles in boxing, the WBA “regular” championship in the welterweight division. Pacquiao, now forty, won that belt by defeating another aging fighter, Lucas Matthysse, one year after Pacquiao had lost his own WBO belt in a defense against Jeff Horn. That there is a small army of fighters also holding what gets billed as the welterweight championship of the world, including Terence Crawford, Errol Spence Jr., Shawn Porter, and Keith Thurman, didn’t deter Showtime from advertising this as being for the “welterweight world championship,” with the WBA part in the smaller font, and not acknowledging that Keith Thurman, the WBA “super” welterweight world champion—yes, they have more than one in the same weight—fights this coming Saturday on Fox. But that typical legerdemain might have been overlooked had the Pacquiao–Broner fight been competitive, exciting, or even well-fought. It was none of these. Pacquiao clearly won a wide decision, and there seems to be no one, outside of Broner or his associates, who thought it was even close, let alone a Broner win. The aging Pacquiao, known for his footwork, often looked awkward, off-balance, and sometimes stumbled, which was not because of Broner’s uber-defensiveness. And where was Pacquiao’s vaunted power? In 2013, Broner had been knocked down by Marcos Maidana. Here the fading Pacquiao outboxed and outfought the passive Broner for almost all of the twelve rounds, but he could not hurt him. The explosive power was gone with age. That is what happens to forty-year-old athletes, something Pacquiao’s purported archrival Floyd Mayweather understands well. That is why the forty-two-year-old Mayweather’s last two fights, if you can call them that, versus Conor McGregor and Tenshin Nasukawa (billed as an exhibition), were against people without any prior professional boxing experience. 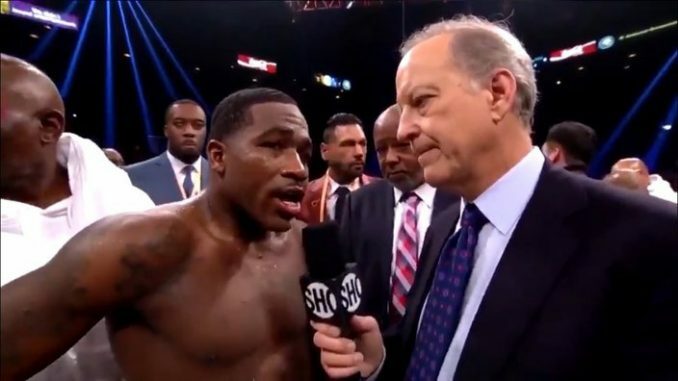 For his part, Broner did nothing. He would wait to throw counters that rarely were thrown and even more rarely landed. When attacked by Pacquiao, who was the aggressor all night, he would often try to imitate Mayweather’s shoulder roll while going straight back, only to be tagged again. He avoided going to Pacquiao’s body, almost as if that conflicted with his religious beliefs. And while obviously hopelessly behind on the scorecards in the latter rounds, his output in those rounds decreased even more sharply than his level of activity earlier in the fight. Broner’s in-ring output, it appeared, was in inverse proportion to his smack talk. Facing some recent allegations of abusing women, Broner seemed to throw and land more punches against these women—allegedly—than against Pacquiao. As the final bell sounded, Broner threw up his arms as if he had won. In every post-fight interview, he insisted, with a straight face, that he had won the fight. When the crowd booed that assertion, he repeated that he had clearly won, as the boos cascaded, which perhaps was his intention all along. Broner claiming that he won was a brilliant con job. Don’t break kayfabe, play the heel, and more lucrative pay-per-views and paydays may come with the marks gritting their teeth in hopes of seeing him stretchered out. Perhaps a starring role in WrestleMania also awaits him. Even though the world knew that Broner had been decisively defeated, it was his name, and not Pacquiao’s, that trended as number one in the U.S. on Twitter for hours after the fight ended. Part of the aim of this pay-per-view scam was to set the table for the long unanticipated rematch between Pacquiao and Mayweather. As if their first fight wasn’t bad and universally derided enough, Mayweather-Pacquiao II would only appeal to Pacquiao’s diehard Filipino fans and perhaps some UFC marks who would love to see black guys get beat up. Even if they fight again, which Mayweather gave no indication of wanting after the Pacquiao–Broner fight, Mayweather would not take such a fight unless he was assured of winning again, one way or another. But the UFC marks would comprise a major part of the audience for Mayweather–Pacquiao II. Many of these types are still angry and miffed at Mayweather’s humiliation of McGregor, even as Mayweather had carried him for many rounds. Judging by much of the online bile generated by these people, many thought that Mayweather’s one-round blowout of the undefeated Japanese kickboxer and MMA fighter Tenshin Nasukawa on the Rizin 14 New Year’s Eve show had to indicate that this fight, even though it was billed as a mere exhibition, was fixed. These worshippers at the shrines of the ex-exercise-instructor Dana White and the bug-eating comedian Joe Rogan had zero ability to comprehend what Mayweather did to dispatch Nasukawa with such ease. Mayweather’s left foot was outside the right foot of the southpaw Nasukawa, who was leaning in with his head exposed and had terrible positioning. Mayweather had a clear shot to the back of Nasukawa’s head, behind his right ear, and landed a short left hook for the first knockdown. Nasukawa’s equilibrium and legs were now gone. This is Boxing 101, which is generally not known in MMA, and also may not apply in sports where you counter punches with kicks, knees, and/or clinching and takedowns. Many MMA people think MMA is chess and boxing checkers, again showing that they know little about boxing. This is why so many MMA people, who do not watch boxing and prefer more vulgar sports with a far higher percentage of white athletes, were baffled by Mayweather’s basic boxing and thought this fight was fixed. Whether or not Mayweather–Pacquiao II happens comes down to—what else?—money, and if Showtime, for which they both are now aligned, decides they can fleece enough people into paying for it to make it profitable. Even before the wake for HBO Boxing had ended, Showtime and now ESPN and Fox were charging down the pay-per-view path that had so badly marginalized boxing and ultimately necessitated HBO Boxing’s death. Showtime couldn’t even wait for HBO Boxing to expire when they staged the Fury–Wilder pay-per-view on December 1 of last year. The number of buys in the U.S. leaked to the media was poor, in the 300–325,000 range. 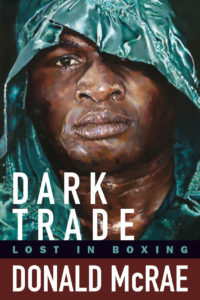 The British content protection company Muso reported that globally, nearly ten million viewers watched pirate streams of that pay-per-view, once more demonstrating how boxing’s outmoded pay-per-view model hindered the economics of this fight. For the first half of 2019, there is an even more absurd return to the pay-per-view model in the U.S. On March 16, IBF welterweight champion Errol Spence Jr. will face Mikey Garcia, who is essentially moving up two weight classes for this fight. That will be a Fox pay-per-view, the first for that network. Then on April 20, in yet another welterweight title fight, WBO champion Terence Crawford will face Amir Khan. And that will be an ESPN pay-per-view. Sometime soon after that, the Tyson Fury–Deontay Wilder rematch will likely take place, and also land on Showtime pay-per-view in the U.S. And that only takes us less than halfway through the year. With a recession predicted by many to be starting soon, and with political instability in the U.S., the U.K., much of Europe, and around the world, it is as if these pay-per-view parasites want to rip every nickel and dime possible from the fans while they still can. And in the process, they further shrink boxing’s fan base and make watching all of the top fights a luxury which only millionaires can afford. In comparison, you can subscribe to the DirecTV Now streaming service, and for the price of the Pacquiao–Broner pay-per-view, for $65 a month get 105 or more channels, and for $75 get 125 or more channels. Ironically, DirecTV Now is part of AT&T, which also owns HBO, former home of boxing until Ma Bell’s grandkids bought it and buried it. There is also the DAZN streaming service, where there are no pay-per-views, and where it’s all you can watch for 10 bucks a month in the U.S. That now includes the fights of middleweight king Saul “Canelo” Alvarez, who has a tough match-up with Daniel Jacobs on May 4, a weekend of fights previously reserved for HBO pay-per-view. We are also promised that the next fight for unified heavyweight champion Anthony Joshua will be announced shortly, and that is also certain to be on DAZN in North America and included as part of the package their monthly fee gets you. In addition, the universally acclaimed World Boxing Super Series is supposed to resume their tournaments with semifinal bouts very soon, and that is on DAZN. Other sports, including MMA, European football, cricket, and others, with more to come including a Major League Baseball wrap-up show this coming season, are on DAZN. But even if none of those appeal to you and you just want boxing, DAZN is regularly beefing up its boxing lineup. How well DAZN succeeds financially remains to be seen, and there have been some clunkers shown there, but for now, it provides far greater value for boxing fans than these pay-per-views. But like cockroaches, bed bugs, and cancer, the pay-per-view thieves are back and are just as hard to eradicate. Boxing’s long con continues, until there are not enough people to con.